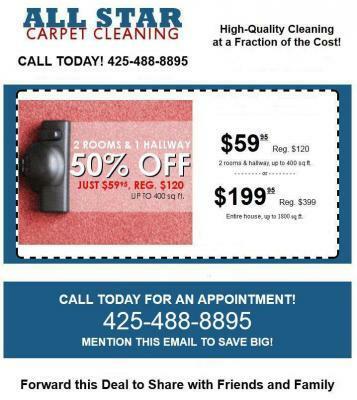 Truck mount carpet cleaning Kirkland, WA. A dingy carpet in a beautiful home has a way of making everything else look unattractive, which is why many homeowners opt for total carpet replacement. This is an expensive option, and it's totally unnecessary, too. Modern carpet cleaning professionals can get rid of most stain and dirt problems, to make a carpet look like new again. They can do it in record time as well. Our Truck mount steam cleaning service in Kirkland, WA has a particularly good advantage to offer to the customer. What Is Truck Mount Steam Cleaning? Our company uses truck mount steam cleaning in Kirkland, WA. We have a truck/van which is outfitted with everything needed for steam cleaning carpets. That includes a portable source of water and power, the steam cleaning unit itself, and a tank for waste water. The only thing that enters your home for cleaning is the hose and the carpet cleaning wand. The equipment is easily attached and quick to use. Why Is Truck Mount Steam Cleaning Better in Kirkland, WA? Truck mount steam cleaning has several advantages over most other types of professional carpet cleaning. Probably the biggest advantage to the customer is the amount of power. These machines are 20 times more powerful than any other type of carpet cleaning available. For that reason, they are often used to clean carpets in high-traffic businesses, such as cinemas, retail stores, and other establishments. The entire process is very convenient for the homeowner, who has little time to waste. In many cases, our professional carpet cleaners can be in and out in a few hours. Truck mount steam cleaning is ideal for any home, and most homeowners will be very surprised at how good their carpeting looks once it's done.